Beautiful 3 Bedroom, 4 Bathroom 2-story French Chateau, built to stand the test of time! 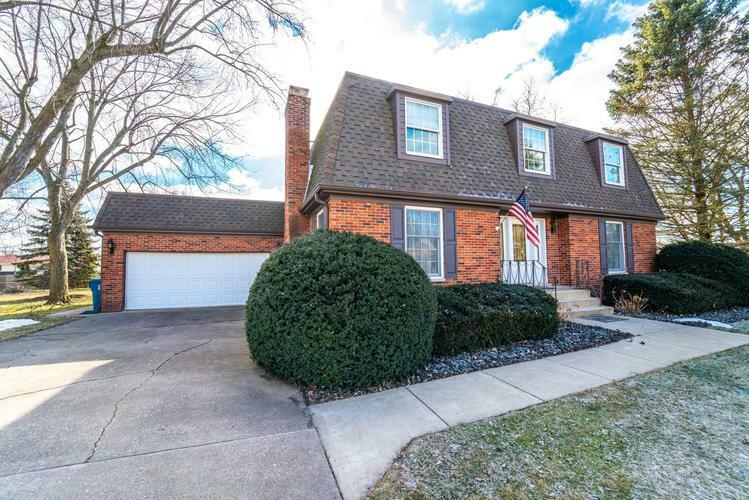 All brick home situated on a quiet cul-de-sac. Nearly 1 acre lot with plenty of room to enjoy the fabulous, private back yard. Freshly painted interior w/gorgeous oak floors. Foyer w/slate floor & grand staircase. Formal dining & living room tie together w/the long eat-in kitchen, loaded with cabinets & counter top space. All seasons room off kitchen w/access to the back deck. 3 large bedrooms upstairs, full bath w/ceramic surround tub. Master suite w/tons of closet space & renovated master bath w/soaker tub, double vanity & separate shower. Upstairs laundry off of the master! Finished basement w/oversized rec room, wet bar, possible 11x10 4th bedroom, bathroom & huge utility/storage room. Basement is perfect for mother-in-law suite OR man cave! Roof/gutters approx 2009. Beautiful flowering landscaped backyard! Ideally located near schools, shopping and major expressways. Pre-Approved Buyers Only. Directions:From Route 30, South on to Rt41 to Oakside, East one block to Crestview Dr. and South end of the Cul-De-Sac.